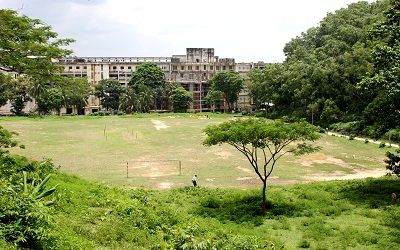 Chittagong Medical College established in 1957. This is the largest medical college in chittagong division. People know that ctg public medical college is the secound largest medical college in Bangladesh. This govt. medical college is located in the south-eastern port city of chittagong. CMC (চট্টগ্রাম মেডিকেল কলেজ) is associated with chittagong University. There are more then 30+ post graduate courses in different disciplines running in Chittagong medical college. Look this table of CMC courses, syllabus. Every year admission eligibility and many others condition are indentified by the Health ministry and family welfare govt. of Bangladesh. The basic condition is every student should have secondary school certificate (ssc) and Higher school certificate (hsc) examination. There are also important things that a appicant should have Chemistry, Biology and Physics amongst the subjects considered in HSC. In this public medical college there are extra facility for international student. This college provide Hostel facility for boys and girls. Every year international student apply for MBBS courses , BDS. Most of the student come from asian country. Visit Bangladesh Embassy for student visa for studying CMC. Thanks for visiting our website which is compatible for medical university admission information and other information about Bangladeshi Education. We provide the best information about public medical college of Chittagong Departments of Bangladesh. This entry was posted in Medical College, Public Medical College and tagged ctg medical college admission by admin. Bookmark the permalink.